In less than 24 hours, I will be flying to El Salvador with a Duke Divinity School teaching team to join Methodist pastors at the Central American Pastor’s School in Ahuachapán (the five participating countries that have a border agreement for easier transportation include El Salvador, Costa Rica, Guatemala, Honduras, and Nicaragua). For the second year in a row I will be teaching Evangelism, and doing a lot of my own learning along the way as I glean insights from ministry leaders who have very different ministry contexts and challenges then my own. Just the other day I was asked if I was ready for my 2 hour a day class which will meet daily for five days. Lectures ready to pack? Check. Prayed up? Still praying. Books or other resources reviewed? Check. Tests, quizzes, and classroom assignments ready? Check. 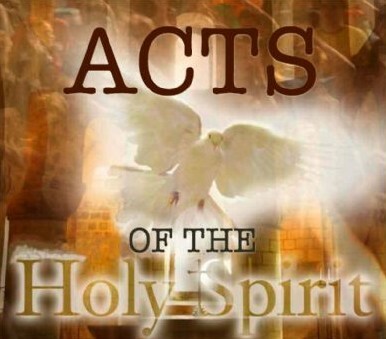 But as I move closer to departure time, I realized that what I really need to do again is sit down and read Acts again – all of it (for those who haven’t cracked that one open for a while, it is 28 chapters of fast-paced, non-stop, early church, Holy Spirit moving stuff). the book of Acts IS, or at least should be our Evangelism 101. Though I have been to numerous conferences on evangelism, read book after book on the subject, taught it at Pastor’s School at Duke, in El Salvador, and in local churches, and taken time to peruse numerous articles and accompanying materials on the subject over the years – this 28 chapter book in the New Testament has yet to be improved upon. Within this book is the early church’s version of team ministry, bold proclamation, buddy-system leadership mentoring, street-side conversions, city-wide revivals, insight on how to handle hostile resistance, healing signs and restoration wonders, and a consistent spotlight on the Spirit who is the source, power, and principle agent of reconciliation. Have you read Acts lately? If not, I recommend taking it up again. The acts of the Holy Spirit performed within its pages are still taking place around us and in us if we are willing vessels. Sounds as if it will be a challenging week. Blessings on you and all the staff as you together follow The Spirit’s leading.